Dr Alice Gorman is an internationally recognised leader in the emerging field of space archaeology. 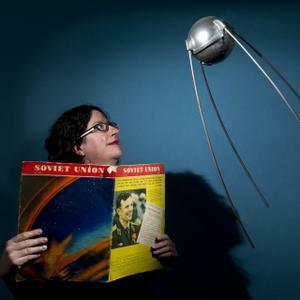 She is a lecturer in the Department of Archaeology at Flinders University, an Adjunct Fellow at the Research School of Astronomy and Astrophysics at the Australian National University, and a member of the National Executive Council of the Space Industry Association of Australia. As well as her research in space archaeology, Alice has worked extensively in Indigenous heritage management in Australia, providing heritage advice for mining industry, urban development, government departments, local councils, and Aboriginal Native Title groups. She is a specialist in stone tool analysis. Alice provides commentary on space events for the online news service The Conversation and publishes the blog Space Age Archaeology. Her research on space exploration has been featured in National Geographic, Monocle, New Scientist and Archaeology Magazine.